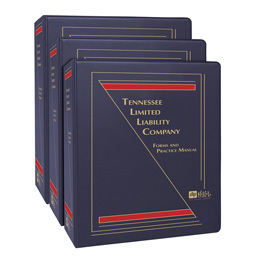 Prominent Tennessee attorney, G. Michael Yopp, has drawn from his extensive experience to bring you strategies and forms for virtually every situation you may encounter in this newly revised three-volume Manual featuring a bonus CD with more than 185 electronic forms. 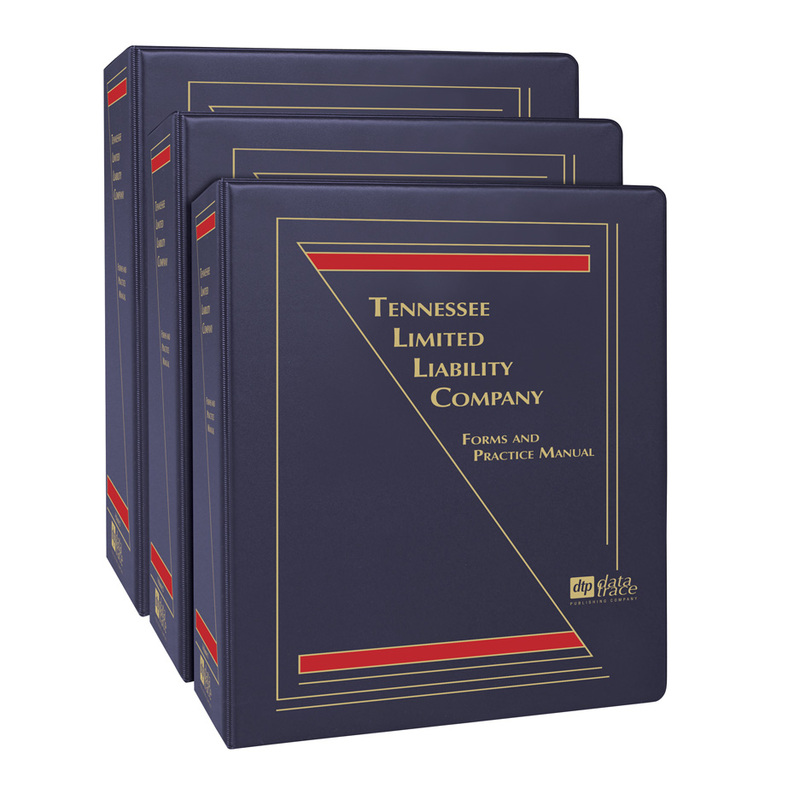 This extensive, updated manual, with its more than 1,590 pages of valuable content, will help you stay current and efficient by providing appropriate statutes and regulations — complemented by thorough discussions and analyses of any changing federal and Tennessee state laws. Plus, you'll be expertly guided through an extensive selection of appropriate LLC forms using an easy-to-follow format. Included are customizable electronic forms as well as explanations and planning strategies for the LLC business structure. Michael Yopp is a partner in the Nashville office of Waller Lansden Dortch & Davis, LLP and practices in the areas of state and federal taxation, partnerships, limited liability companies and general business. Mr. Yopp is a member of the LLC Legislative Drafting Committee of the Tennessee Bar Association. He is currently Chairman of the Tennessee Bar Association Business Entity Study Committee. He is a past Chairman, Tax Probate and Trust Committee, Tennessee Bar Association; founding and current trustee and former President of the Paul J. Hartman Memorial State and Local Tax Forum; and a current member of the Executive Committee of the National Association of State Bar Tax Sections. Also, he has lectured on partnership tax law at Vanderbilt University School of Law and is a Fellow of the American College of Trusts and Estate Counsel. He received a Bachelor of Science degree with a dual major in biology and history from Murray State University in 1968. He earned a Juris Doctor degree, with distinction, from Emory University in 1975 and a Master of Laws in Taxation from New York University in 1979.